Jaguars are the king of the jungle but what happens when they meet the king of the river, the Giant otter?? 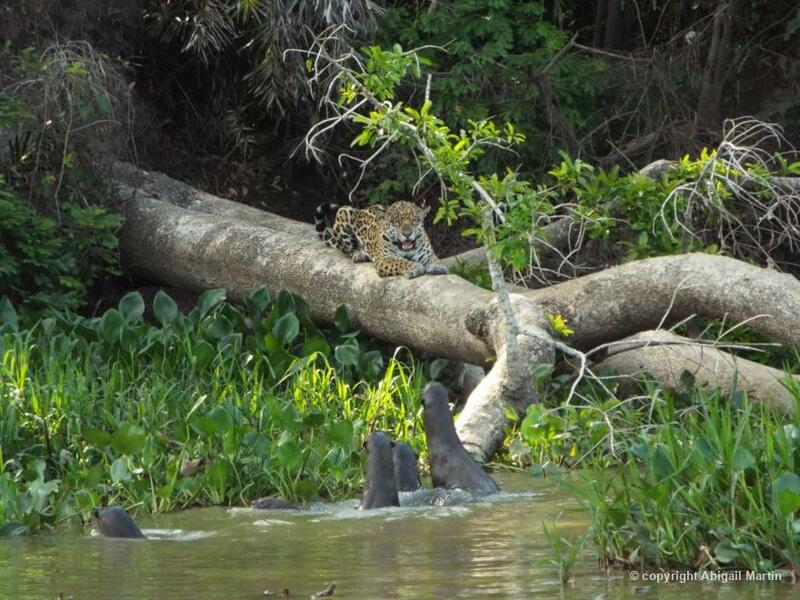 This week we got to observe Capi, a huge female jaguar, encounter a family of Giant otters (Pteronura brasiliensis). Both Capi and the otter family have young cubs. And everyone knows not to mess with a mother and young. There were threat displays from both sides but both species decided it was best to avoid confrontation....this time. This interaction might have been our favorite encounter this season. The behavior and volicazilations were unforgettable.